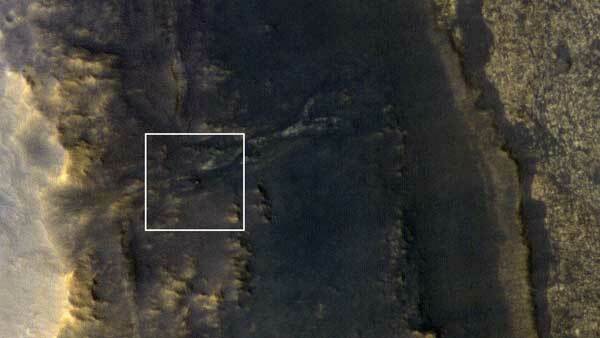 PASADENA, Calif. (NASA PR) — NASA still hasn’t heard from the Opportunity rover, but at least we can see it again. 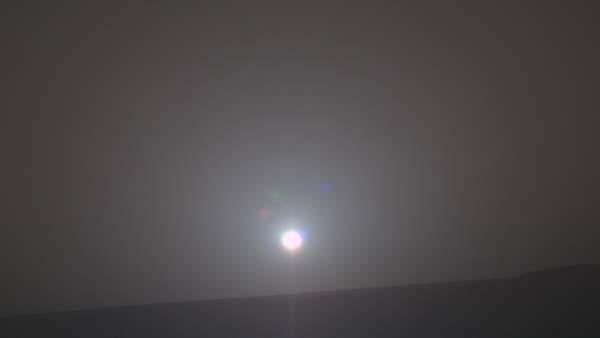 PASADENA, Calif. (NASA PR) — The Sun rose on NASA’s solar-powered Mars rover Opportunity for the 5,000th time on Saturday, sending rays of energy to a golf-cart-size robotic field geologist that continues to provide revelations about the Red Planet. NASA Mars Exploration Rover Opportunity used its navigation camera to take the images combined into this full-circle view of the rover's surroundings on the 1,506th through 1,510th Martian days, or sols, of Opportunity's mission on Mars (April 19-23, 2008). South is at the center; north is at both ends. 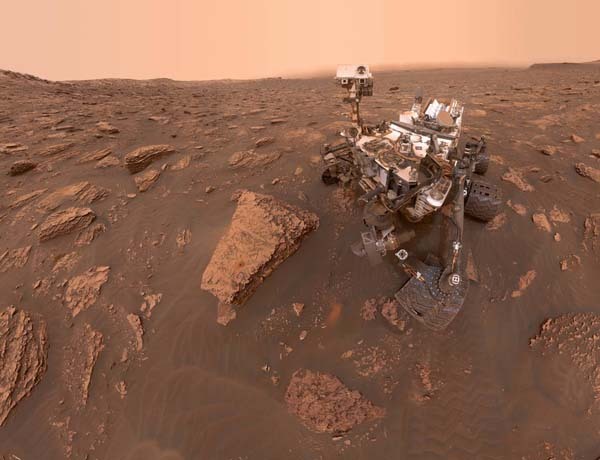 One of NASA’s two Mars rovers has recorded a compelling saga of environmental changes that occurred over billions of years at a Martian crater. 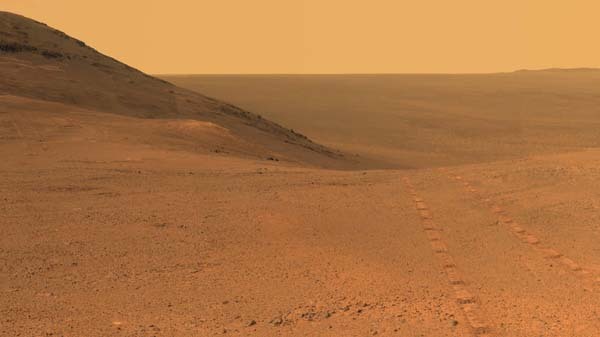 The Mars rover, Opportunity, surveyed the rim and interior of Victoria Crater on the Red Planet from September 2006 through August 2008. 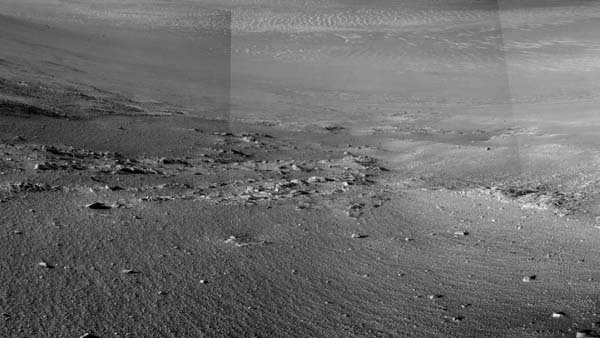 Key findings from that work, reported in the May 22 edition of the journal Science, reinforce and expand what researchers learned from Opportunity’s exploration of two smaller craters after landing on Mars in 2004. 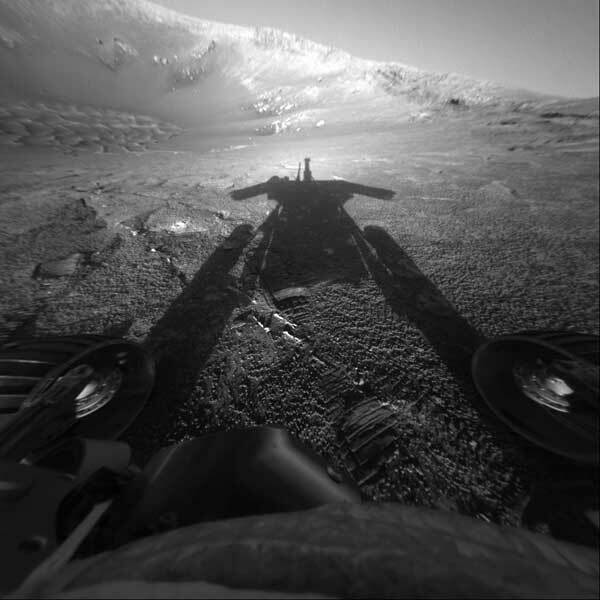 Of the hundreds of engineers and scientists who cheered at NASA’s Jet Propulsion Laboratory in Pasadena, Calif., on Jan. 3, 2004, when Spirit landed safely, and 21 days later when Opportunity followed suit, none predicted the team would still be operating both rovers in 2009. 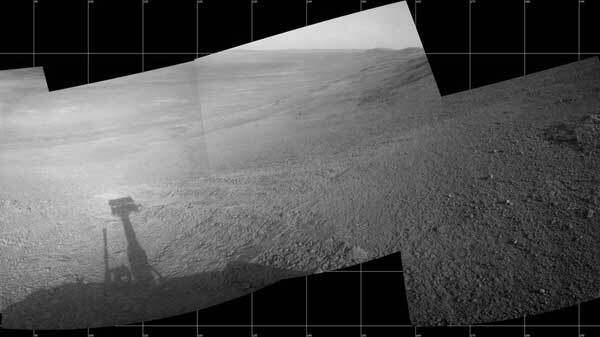 A small motor in the robotic arm of NASA’s Mars Exploration Rover Opportunity that began stalling occasionally more than two years ago has become more troublesome recently. Rover engineers at NASA’s Jet Propulsion Laboratory, Pasadena, Calif., are diagnosing why the motor, one of five in the robotic arm, stalled on April 14 after much less motion that day than in the case of several earlier stalls. 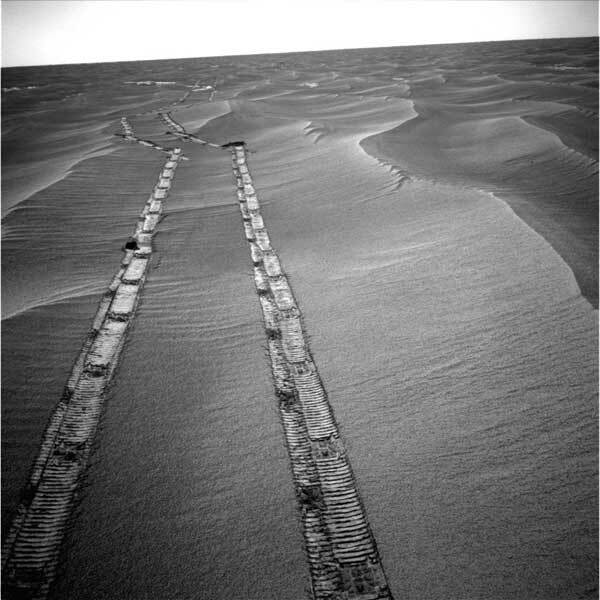 They are also examining whether the motor can be used and assessing the impact on Opportunity’s work if the motor were no longer usable. The motor controls sideways motion at the shoulder joint of the rover robotic arm. Other motors provide up-and-down motion at the shoulder and maneuverability at the elbow and wrist. A turret at the end of the arm has four tools that the arm places in contact with rocks and soils to study their composition and texture. Paul Gilster’s musings about possible life in an ocean below Titan’s frozen surface. NASA’s Science group has seen an abrupt turnover in its top leadership. S. Alan Stern, associate administrator for the agency’s Science Mission Directorate, announced his resignation on Wednesday. John Mather, the directorate’s chief scientist, is also reported to be heading back to his full-time position on the James Webb Space Telescope program.